Cheryl Fields is back with us! Since April 5th, 2013, I am online again. You all can e-mail me at, cherylfieldskenosha@yahoo.com or call me (262)-764-0737, and leave a voice mail message, please repeat your number twice and state TMAU, so I will know what the call is regarding. Welcome back, Cheryl! How wonderful it is to have you back with us again! For those newer visitors to the blog, Cheryl has been a very active member of our community, even before MEBO’s existence. 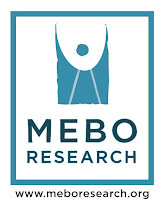 Her contribution to MEBO as a US Community Outreach Director has been very much appreciated. Click on the link below where we showcase the fine work done by our Community Outreach and Public Relations Directors both in the US & UK. Click on icon for U.S.
Glad to see that you’re going to be around now, Cheryl, online and receiving phone calls!